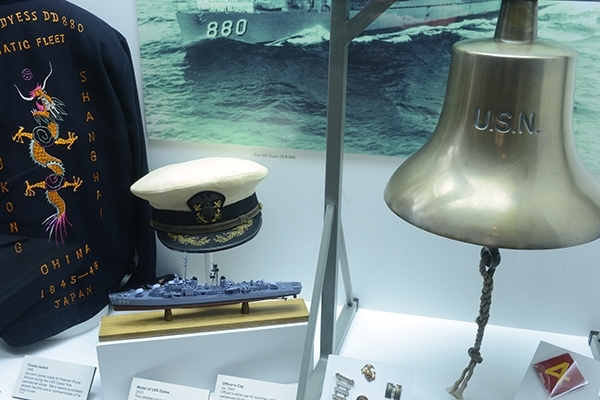 Discover the story of a singular American hero; Lieutenant Colonel Jimmie Dyess. 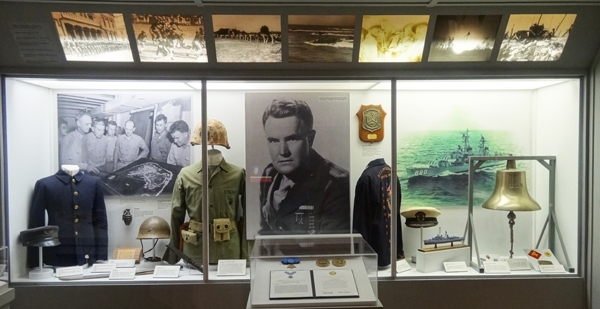 Dyess is the only person who has earned America's two highest awards for heroism: the Medal of Honor and the Carnegie Medal. 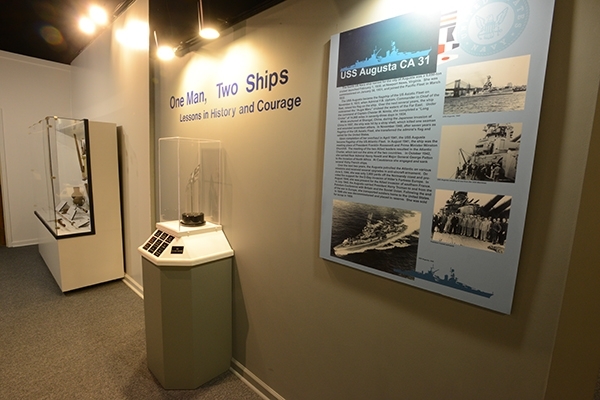 Located on the second floor, One Man, Two Ships tells the story of this remarkable man, the USS Dyess and USS Augusta. On July 13, 1928, nineteen-year-old Dyess while vacationing at Sullivan's Island near Charleston, South Carolina, saved two women from drowning. For his courage at great risk to his own life, he was awarded the Carnegie Medal in 1929. The medal was established by industrialist Andrew Carnegie in 1904, the medal is awarded to individuals who save or attempt to save the life of a total stranger while placing themselves at great risk. 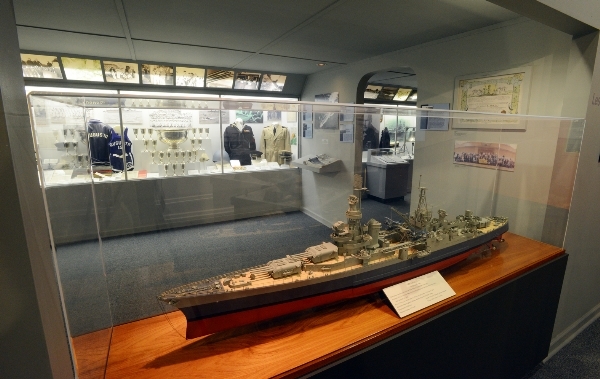 On February 1, 1944, Dyess led his Marines ashore on Roi Namur against Japanese forces. On his first day in combat, Dyess gallantly lead his battalion, even rescuing a patrol that had become trapped behind enemy lines. On the morning of the second day, Dyess was killed instantly while leading an attack on a Japanese pillbox. He was awarded the Medal of Honor posthumously for his extraordinary heroism and leadership.